Tired of cold feet on tile floors? Radiant floor heating can be just the answer you’re looking for to create a more comfortable environment. With new flooring installation, adding radiant heating is a great add-on that can make a big difference. The radiant floor heating mechanism consists of a thin sheet of heating cables that are installed under tile. Connected to a separate thermostat, the flooring temperature can be easily adjusted for personal preference or the time of year (e.g. warmer in the winter). The heating sheets are also very thin and are easily incorporated in new construction or remodeling projects. With no further maintenance involved after installation, radiant heated floors are a great, worry-free upgrade. Call (630) 677-1371 for a FREE estimate. Typically, radiant floor heating is installed in bathrooms or basements under tile or stone. However, it can be installed basically anywhere that you would appreciate the warmth; including foyers, living rooms, laundry rooms, and more. While radiant floor heating is also typically installed under cooler stone, it can be installed under carpet, wood, and laminate flooring as well. Art Z is one of the most trusted flooring installers in the Chicago area. Contact Art Z to learn more about flooring options and installation services. Art has civil engineering background, finishing Technical University in Krakow, Poland with Master Degree in civil engineering. Zaneta has art background, finishing Fine Art Academy in Krakow,Poland, with Master Degree in Art and Design. We have successfully combined our skills and experience to build strong and professional business over the years. Whenever you are remodeling or building your custom home, our flooring, decorating, and painting services can provide elegant charm and enhance your home décor. 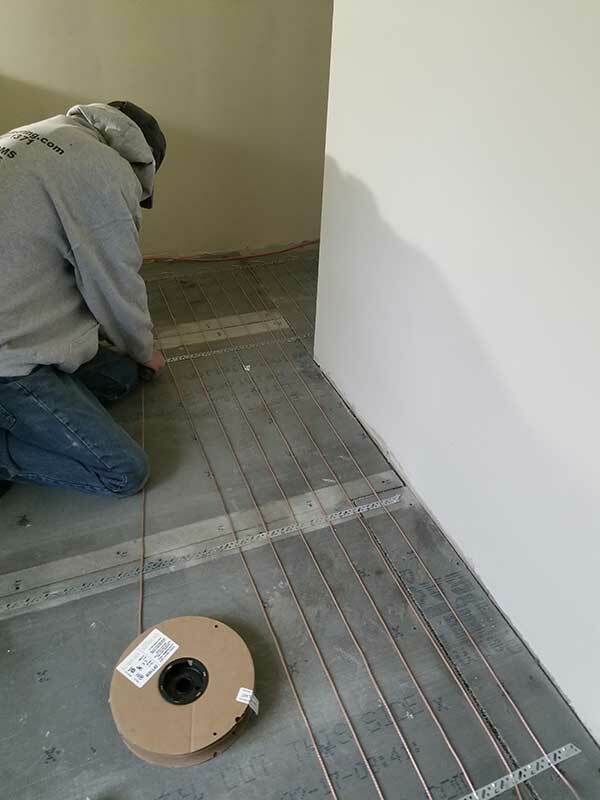 Call us today to learn more about installing radiant floor heating!